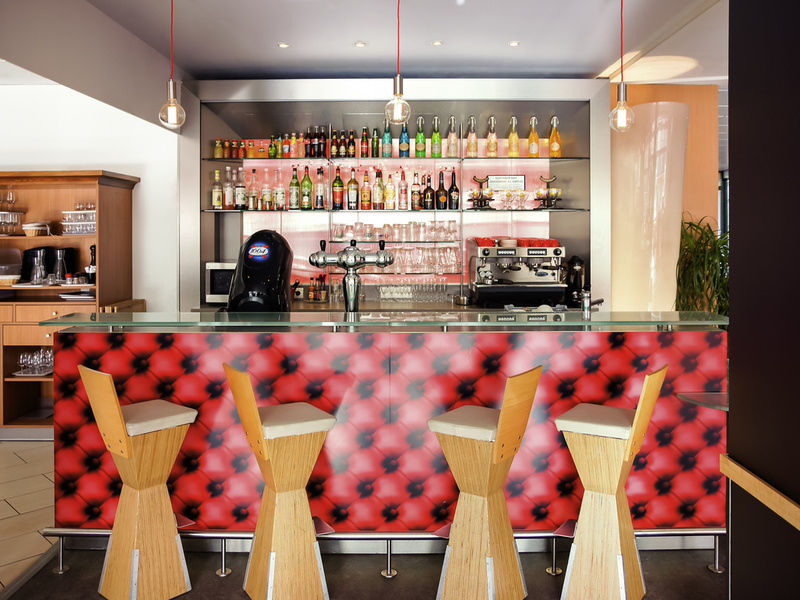 Perfectly located along the banks of the Moselle, the ibis Metz Centre Cathédrale hotel offers 79 air-conditioned rooms, an ibis Kitchen restaurant and a bar. Located 5 minutes from the St Etienne de Metz cathedral and the town center, it is the perfect p lace to visit Metz and its historic center. Easy access from the A31 highway. Located in city center on the banks of the Moselle. 5 min walk to historic city center, St-Etienne cathedral (stained glass window by Chagall), theater and shopping streets. Metz cathedral is just a 6-minute walk from the hotel and the historic center is only 10 minutes away on foot. Take the time to enjoy a stroll along the banks of the Moselle, the lake and the German Gate. Quarto de casal com 2 camas que podem ser combinadas.